"Mongke" redirects here. For other uses, see Mongke (disambiguation). Möngke (Mongolian: ᠮᠥᠩᠬᠡ Möngke / Мөнх Mönkh; Chinese: 蒙哥; pinyin: Ménggē; January 11, 1209 – August 11, 1259) was the fourth khagan of the Mongol Empire, ruling from July 1, 1251, to August 11, 1259. He was the first Khagan from the Toluid line, and made significant reforms to improve the administration of the Empire during his reign. Under Möngke, the Mongols conquered Iraq and Syria as well as the kingdom of Dali. Möngke was born on January 11, 1209, as the eldest son of Genghis Khan's teenaged son Tolui and Sorghaghtani Beki. Teb Tengri Khokhcuu, a shaman, claimed to have seen in the stars a great future for the child and bestowed on him the name Möngke, "eternal" in the Mongolian language. His uncle Ögedei Khan's childless queen Angqui raised him at her orda (nomadic palace). Ögedei instructed Persian scholar Idi-dan Muhammed to teach writing to Möngke. On his way back home after the Mongol conquest of Khwarezmia, Genghis Khan performed a ceremony on his grandsons Möngke and Kublai after their first hunting in 1224 near the Ili River. Möngke was fifteen years old, and with his brother, Kublai, killed a rabbit and an antelope. Their grandfather smeared fat from the killed animals onto their middle fingers following the Mongol tradition. In 1230, Möngke went to war for the first time, following Ögedei Khan and his father Tolui into battle against the Jin dynasty. Tolui died in 1232, and Ögedei appointed Sorghaghtani head of the Toluid appanage. Following the Mongol custom, Möngke inherited at least one of his father's wives, Oghul-Khoimish of the Oirat clan. Möngke deeply loved her and gave special favor to her elder daughter, Shirin. Battle of Mohi (on April 11, 1241), in which Möngke might have participated. Ögedei dispatched him along with his relatives to attack the Kipchaks, Russians, and Bulgars in the west in 1235. When the most formidable Kipchak chief, Bachman, fled to an island in the Volga delta. Möngke crossed the river and captured him. When he ordered Bachman to bend down on his knees, Bachman refused and was executed by Möngke's brother Bujek. Möngke also engaged in hand-to-hand combat during the Mongol invasion of Rus'. While his cousins, Shiban and Büri, went to Crimea, Möngke and Kadan, a son of Ögedei, were ordered to reduce the tribes in the Caucasus. The Mongols captured the Alan capital Maghas and massacred its inhabitants. Many chiefs of the Alans and Circassians surrendered to Möngke. After the invasion of Eastern Europe, Möngke would bring them back to Mongolia. He also participated in the Siege of Kiev (1240). Möngke was apparently taken by the splendour of Kiev and offered the city surrender, but his envoys were killed. After Batu's army joined Möngke's soldiers, they sacked the city. He also fought alongside Batu at the Battle of Mohi. In the summer of 1241, before the premature end of the campaign, Möngke returned home after his uncle Ögedei recalled him in the winter of 1240–41. However, Ögedei died. In 1246, Temüge, Genghis Khan's sole remaining brother, unsuccessfully tried to seize the throne without confirmation by a kurultai. The new Khagan Güyük entrusted the delicate task of trying the Odchigin ("keeper of the hearth" - a title given to both of Genghiz's younger brothers) to Möngke and Orda Khan, the eldest brother of Batu. Güyük eventually died en route to the west in 1248 and Batu and Möngke emerged as main contenders.. Following his mother Sorghaghtani's advice, Möngke went to the Golden Horde to meet Batu, who was afflicted with gout. Batu decided to support his election and called a kurultai at Ala Qamaq. The leader of the families of Genghis Khan's brothers, and several important generals, came to the kurultai. Güyük's sons Naqu and Khoja attended briefly but then left. Despite vehement objections from Bala, Oghul Qaimish's scribe, the kurultai approved Möngke. Given its limited attendance and location, this kurultai was of questionable validity. Batu sent Möngke under the protection of his brothers, Berke and Tuqa-temur, and his son Sartaq to assemble a formal kurultai at Kodoe Aral in Mongolia. When Sorghaghtani and Berke organized a second kurultai on July 1, 1251, the assembled throng proclaimed Möngke the Great Khan of the Mongol Empire, and a few of the Ögedeid and Chagatayid princes, such as his cousin Kadan and the deposed khan Qara Hülegü, acknowledged the decision. Shortly thereafter, Oghul's son Khoja and Ögedei's favorite grandson Shiremun came to "pay homage" to Möngke as the new ruler, but they brought the entire army of the Ögedei faction with them. Möngke's Kankali falconer, Kheshig, discovered the preparations for the attack and told his lord. At the end of the investigation under his father's loyal servant Menggesar noyan, he found his relatives guilty but at first wanted to give them mercy as written in the Great Yassa. Möngke's officials opposed it and then he began to punish his relatives. The trials took place in all parts of the empire from Mongolia and China in the east to Afghanistan and Iraq in the west. Möngke and Batu's brother Berke therefore arranged to have Oghul accused of using black magic against Möngke. 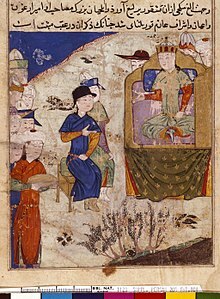 After she was arrested and questioned by Sorghaghtani, Oghul Qaimish was sewn up into a sack and tossed into a river and drowned, the traditional Mongol punishment for using black magic. Estimates of the deaths of aristocrats, officials, and Mongol commanders include Eljigidei, Yesü Möngke, Büri, and Shiremun and range from 77–300. However, most of the princes descended from Genghis Khan who were involved in the plot were given some form of exile. The anti-Möngke plot of an Uyghur scribe, Bala, and the Idiqut Salindi (the monarch of the Uyghurs) was discovered and they were publicly executed. After his accession to the throne in 1251, Möngke announced that he would follow his ancestors but would not imitate the ways of other countries. To increase his legitimacy, in 1252 he retroactively awarded his father the title of Ikh Khagan. Möngke shared the western part of the empire with his ally Batu Khan, ensuring the unity of the empire. Möngke's mother Sorghaghtani died in 1252. After the defeat of the Ögedeid and Chagataid families, Möngke eliminated their estates and assigned acquiescent family members new territories either in Turkestan or in northwest China. After the bloody purge, Möngke ordered a general amnesty for prisoners and captives. In another move to consolidate his power, Möngke gave his brothers Kublai and Hulagu supervisory powers in North China and Iran. Rumours spread that his brother Kublai founded a de facto independent ulus (district) and perhaps took for himself some of the tax receipts that should by rights be coming to Karakorum. In 1257 the Emperor sent two tax inspectors to audit Kublai's official. They found fault, listed 142 breaches of regulations, accused Chinese officials, and even had some executed; Kublai's office was abolished. Möngke's authority took over the collection of all taxes in Kublai's estates. As his Confucian and Buddhist advisers pointed out, Kublai first sent his wives to the court of Khagan and then appealed to Möngke in person. They embraced in tears and Möngke forgave his brother. Möngke drafted his own decrees and kept close watch on their revision. Möngke forbade practices of extravagant costs of the Borjigin and non-Borjigid nobles. He also limited gifts to the princes, converting them into regular salaries, and made the merchants subject to taxes. Möngke limited notorious abuses and sent imperial investigators to supervise the business of the merchants who were sponsored by the Mongols. He prohibited them from using the imperial relay stations, yam (route), and paizas, tablets that gave the bearer authority to demand goods and services from civilian populations. With Güyük dead, many local officials no longer wanted to pay off the paper drafts used by Güyük. Möngke recognized that if he did not meet the financial obligations of Güyük, it would make merchants reluctant to continue business with the Mongols. Möngke paid out all drafts drawn by high ranking Mongol elites to these merchants. Ata-Malik Juvayni stated, "And from what book of history has it been read or heard...that a king paid the debt of another king?" The generals and princes (including his son) who allowed their troops to plunder civilians without authorization were repeatedly punished by Möngke Khan. He used North Chinese, Muslim, and Uyghur officials. The Khagan's chief judge (darughachi) was the Jait-Jalayir official Menggeser, while the chief scribe was the Bulghai of the Keraites, who was a Christian. Nine of the 16 chief provincial officials of Möngke Khan were certainly Muslims. He reappointed Güyük's three officials: Mahmud Yalavach in China, Masud Beg in Turkestan, and Arghun Aqa of the Oirat in Iran. Möngke separated the position of the great judge at court from that of chief scribe. In 1253, Möngke established the Department of Monetary affairs to control the issuance of paper money in order to eliminate the over-issue of the currency by Mongol and non-Mongol nobles since the reign of Great Khan Ögedei. His authority established united measure based on sukhe or silver ingot, however, the Mongols allowed their foreign subjects to mint coins in the denominations and use weight they traditionally used. During the reigns of Ögedei, Güyük, and Möngke, Mongol coinage increased with gold and silver coinage in Central Asia and copper and silver coins in the Caucasus, Iran, and Bolghar. In 1252–59, Möngke conducted a census of the Mongol Empire, including Iran, Afghanistan, Georgia, Armenia, Russia, Central Asia, and North China. While the census of China was completed in 1252, Novgorod in the far north-west was not counted until winter 1258–59. There was an uprising in Novgorod against Mongol rule in 1257, but Alexander Nevsky forced the city to submit to the Mongol census and taxation. The new census counted not only households but also the number of men aged 15–60 and the number of fields, livestock, vineyards, and orchards. Within the civilian register craftsmen were listed separately, while in the military registers auxiliary and regular households were distinguished. Clergy of the approved religions were separated and not counted. When the new register was completed, one copy was sent to Karakorum and one copy kept for the local administration. Möngke tried to create a fixed poll tax collected by imperial agents that could be forwarded to the needy units. Initially, the maximum rate was fixed at 10–11 gold dinars in the Middle East and 6–7 taels of silver in China. Protests from the landlord classes reduced this relatively low rate to 6–7 dinars and taels. Some officials raised the top rate on the wealthy of 500 dinars. While the reform did not lighten the tax burden, it made the payments more predictable. Even so, the census and the regressive taxation it facilitated sparked popular riots and resistance in the western districts. In 1259, the Georgian king, David VI, revolted, unsuccessfully, against the Mongols and then fled to Kutaisi, whence he reigned over Imereti in western Georgia as de facto separate ruler. In 1261, he gave shelter to David VII, who had later attempted to end the Mongol dominance. David Ulu made peace with the Mongols, however, and returned to Tbilisi in 1262. Möngke and Batu's official, Arghun, harshly punished the Georgian and Armenian nobles, plundering their cities and executing their prominent leaders. He divided the Georgians into six tumens. Meanwhile, Baiju crushed the rebellion of the Seljuk Sultan Kaykaus II near Ankara in 1256 and re-established Mongol authority over Eastern Turkey. By that time the Kashmiris had revolted, and Möngke appointed his generals, Sali and Takudar, to replace the court and a Buddhist master, Otochi, as darughachi to Kashmir. However, the Kashmiri king killed Otochi at Srinagar. Sali invaded again, killing the king, and put down the rebellion, after which the country remained subject to the Mongol Empire for many years. Möngke confirmed Güyük's appointment of Haiyun as chief of all the Buddhists in the Mongol Empire in 1251. In 1253 Namo from Kashmir was made chief of all the Buddhist monks in the empire. During the conquest of Tibet in 1252–53, all Buddhist clergy were exempted from taxation. The Tibetan Karma Pakshi, 2nd Karmapa Lama, received Möngke's patronage. Möngke had been impressed by the aged Taoist monk Qiu Chuji, who met his grandfather Genghis Khan in Afghanistan. Möngke made Li Zhichang chief of the Taoists. However, the Taoists had exploited their wealth and status by seizing Buddhist temples. Möngke demanded that the Taoists cease their denigration of Buddhism. Möngke ordered Kublai to end the clerical strife between the Taoists and Buddhists in his territory. Kublai called a conference of Taoist and Buddhist leaders in early 1258. At the conference, the Taoist claim was officially declared refuted, and Kublai forcibly converted their 237 temples to Buddhism and destroyed all copies of the fraudulent texts. Hethum I (seated) in the Mongol court of Karakorum, "receiving the homage of the Mongols". "Histoire des Tartars", Hayton of Corycus, 1307. Despite his conquests of the Abbasid Caliphate and the Isma'ili state, Möngke favoured Muslim perceptions. He and Hulagu made the Twelver community at Najaf an autonomous tax-exempt ecclesiastical polity. Like his predecessors, he exempted clerics, monks, churches, mosques, monasteries, and doctors from taxation. We Mongols believe in one God, by Whom we live and die". He then continued "Just as God gave different fingers to the hand so has He given different ways to men. To you God has given the Scriptures and you Christians do not observe them". He explained God had given the Mongols their shamans. Möngke offered Louis IX his cooperation but warned all Christians that "If, when you hear and understand the decree of the eternal God, you are unwilling to pay attention and believe it...and in this confidence you bring an army against us-we know what we can do". Ambassadors from the Latin Empire and the Empire of Nicaea came to the Mongol court to negotiate terms with Möngke Khan as well. In 1252 King Hethum I of Lesser Armenia began his journey to Mongolia. He brought many sumptuous presents and met with Möngke at Karakorum. He had an audience with Möngke on September 13, 1254, advised the Khagan on Christian matters in Western Asia, and obtained from Möngke documents guaranteeing the inviolability of his person and his kingdom. Hethum asked the Khagan and his officials to convert to Christianity. In reply, Möngke explained that he wished his subjects to truly worship the Messiah, but he could not force them to change their religion. Möngke also informed Hethum that he was preparing to mount an attack on Baghdad and that he would remit Jerusalem to the Christians if they collaborated with him. Hethum strongly encouraged other Crusaders to follow his example and submit to Mongol overlordship, but he persuaded only his son-in-law Bohemond VI, ruler of the Principality of Antioch and County of Tripoli, who offered his own submission sometime in the 1250s. The armies of the Armenian Kingdom of Cilicia and Bohemond VI would assist Möngke's army in the West soon. Shamans played an important role in the court and sometimes influenced the war preparation. As Khagan, Möngke seemed to take the legacy of world conquest he had inherited much more seriously than had Güyük. His conquests were all directed at East Asia and the Middle East. In his first plans for additional conquests, Möngke chose Korea and the Dali Kingdom in Yunnan in 1252. Möngke sent envoys to Goryeo, announcing his coronation in October 1251. He also demanded that King Gojong submit before him in person and to move his headquarters from Ganghwa Island to the mainland of Korea. But the Goryeo court refused to send the king because he was elderly and unable to travel so far. Möngke dispatched his envoys with specific tasks again. The envoys were well received by the Goryeo officials, but they criticized the Goryeo officials because their king did not follow his overlord Möngke's orders. Möngke ordered prince Yeku to command the army against Korea. However, a Korean in the court of Möngke convinced them to begin their campaign in July 1253. Yeku, along with Amuqan, demanded that the Goryeo court surrender. The court refused but did not resist the Mongols and gathered the peasantry into mountain fortresses and islands. Working together with the Goryeo commanders who had joined the Mongols, Jalairtai Qorchi ravaged Korea. When one of Yeku's envoys arrived, Gojong personally met him at his new palace. The king Gojong sent his stepson as hostage to Mongolia. The Mongols agreed to a ceasefire in January 1254. Möngke realized that the hostage was not the blood prince of the Goryeo Dynasty and blamed the Goryeo court for deceiving him. Möngke's commander Jalairtai devastated much of Goryeo and took 206,800 captives in 1254. Famine and despair forced peasants to surrender to the Mongols. They established a chiliarchy office at Yonghung with local officials. Ordering defectors to build ships, the Mongols began attacking the coastal islands from 1255 on. In the Liaodong Peninsula, the Mongols formed Korean defectors into a colony of eventually 5,000 households. In 1258 the king and the Choe clan retainer Kim Jun staged a counter-coup, assassinated the head of the Choe family, and sued for peace. When the Goryeo court sent the future king Wonjong of Goryeo as hostage to the Mongol court and promised to return to Gaegyeong, the Mongols withdrew from Korea. Möngke concerned himself more with the war in China, outflanking the Song dynasty through the conquest of the Kingdom of Dali (in modern Yunnan) in 1254 and an invasion of Indochina, which allowed the Mongols to invade from the north, west, and south. Möngke Khan dispatched Kublai to the Dali Kingdom in 1253. The ruling family, Gao, resisted and murdered the Mongol envoys. The Mongols divided their forces into three. One wing rode eastward into the Sichuan basin. The second column under Uryankhadai took a difficult way into the mountains of western Sichuan. Kublai himself headed south over the grasslands, meeting up with the first column. With Uryankhadai galloping in along the lakeside from the north, Kublai took the capital city of Dali and spared the residents despite the slaying of his ambassadors. The Mongols appointed King Duan Xingzhi as local ruler and stationed a pacification commissioner there. After Kublai's departure, unrest broke out among the Black jang. By 1256, Uryankhadai, the son of Subutai, had completely pacified Dali. After subjugating the Dali, Kublai sent a column south under Uriyankhadai, the son of Subutai. Uriyankhadai sent envoys to ask the Vietnamese for a route to attack the Southern Song, but the Tran Vietnamese imprisoned the Mongol envoys. In 1257, a Mongol column under Uriyankhadai invaded Vietnam (then known as Đại Việt) along with his son Aju and an army of 3,000 Mongols and 10,000 Yi tribesmen. They routed the Vietnamese army and sacked the capital Thăng Long (renamed Hanoi in 1831). Uriyankhadai executed its inhabitants for the murder of the envoys. After staying in Thăng Long for a while, the Mongols fell ill due to the unfamiliar climate. Realizing that it was time to drive the Mongols out, the Vietnamese launched a counter-attack and won the decisive battle of Dong Bo Dau. To avoid further war, the Tran accepted Mongol overlordship, and Uriyankhadai withdrew. The Vietnamese king Trần Thái Tông paid tribute to Uriyankhadi who had quickly evacuated Vietnam to escape malaria. The Trần Dynasty accepted terms of vassalage and sent tributes to the administration of Möngke. To strengthen his control over Tibet, Möngke made Qoridai commander of the Mongol and Han troops in Tibet in 1251. In 1252–53 Qoridai invaded Tibet, reaching as far as Damxung. The Central Tibetan monasteries submitted to the Mongols, and the Mongol princes divided them as their appanages. In 1252-53 Sali Noyan of the Tatar clan was sent to the Indian borderlands at the head of fresh troops and was given authority over the Qara'unas. Sali himself was subordinate to Möngke's brother Hulagu. Due to the internal conflicts of the Delhi Sultanate, the Mamluk Sultan Nasir ud din Mahmud's brother, Jalal al-Din Masud, fled into Mongol territory in 1248. When Möngke was crowned as Khagan, Jalal al-Din Masud attended the ceremony and asked help from Möngke, who ordered Sali to assist him to recover his ancestral realm. Sali made successive attacks on Multan and Lahore. Sham al-Din Muhammad Kart, the client malik of Herat, accompanied the Mongols. Jalal al-Din was installed as client ruler of Lahore, Kujah, and Sodra. In 1254 the Delhi official Kushlu Khan offered his submission to Möngke Khan and accepted a Mongol darughachi. When he failed to take Delhi, Kushlu turned to Hulagu. In the winter of 1257-58 Sali Noyan entered Sind in strength and dismantled the fortifications of Multan; his forces may also have invested the island fortress of Bakhkar on the Indus. Hulagu imprisons the Caliph Al-Musta'sim among his treasures to starve him to death ("Le livre des merveilles", 15th century). Mongols sacked Syrian cities in 1259–1260 and advanced to the Egyptian border. When Möngke called a kurultai to prepare the next conquest in 1252/53, the Sultanate of Rum and the Lu'lu'id dynasty of Mosul were subject to the Mongol Empire. The Ayyubid ruler of Mayyafariqin, Malik Kamil, and his cousin in Aleppo and future Sultan, Malik Nasir Yusuf, sent envoys to Möngke Khan, who imposed darughachis (overseers) and a census on the Diyarbakır area. Some sources say the Ismaili-Hashashin's imam Alaud-Din dispatched hundreds of assassins to kill Möngke in his palace. Shams-ud-Din, the chief judge of Qazvin, had denounced the menace of the Ismailis. Hence, Möngke decided to exterminate the sect. Möngke ordered the Jochid and Chagataid families to join Hulagu's expedition to Iran and strengthened the army with 1,000 siege engineers from China. Möngke's armies, led by his brother Hulagu, launched an attack on the Ismailis in Iran, crushing the last major resistance there by the end of 1256. The Hashashin Imam Rukn ad-Din requested permission to travel to Karakorum to meet with the Great Khan Möngke himself. Hulagu sent him on the long journey to Mongolia, but once the Imam arrived there, Möngke criticized his action and dismissed him. Rukn ad-Din was killed in uncertain circumstances. For the Abbasids, envoys from Baghdad attended the coronation of Möngke in 1251 to come to terms with the Mongols. However, Möngke told Hulagu that if the Caliph Al-Musta'sim refused to meet him in person, then Hulagu was to destroy Baghdad. Hulagu then advanced on Iraq, taking the capital at Baghdad in 1258. Hulagu sent Möngke some of his war booty with the news of his conquest of Baghdad. Möngke dispatched a Chinese messenger to congratulate him for his victory. Outraged by the attack on the caliphate, Malik Kamil revolted, killing his Mongol overseer. Hulagu's son Yoshumut invested Mayyafariqin and executed Malik Kamil. From there they moved into Syria in 1259, took Damascus and Aleppo, and reached the shores of the Mediterranean. Fearing the Mongol advance, the Ayyubid Sultan Malik Nasir Yusuf refused to see Hulagu and fled. However, the Mongols captured him at Gaza. In 1241 Töregene Khatun had sent an envoy to make peace proposals and discuss with Zhao Yun posthumously known as Emperor Lizong. The Song court arrested the envoy and imprisoned him in a fortress with his suite of seventy persons. The envoy died, but his suite were detained until 1254. That year the Mongol army attacked to take Hejiu but failed. The Chinese freed the suite of the late envoy to show their desire for peace. Möngke concentrated all his attention on the conquest of the Song dynasty. Taking personal command late in the decade, he captured many of the fortified cities along the northern front. In October 1257 Möngke set out for South China, leaving his administration to his brother, Ariq Böke, in Karakorum with Alamdar as assistant, and fixed his camps near the Liu-pan mountains in May of the following year. He first attacked Song positions in Sichuan and took Paoning (modern-day Langzhong) in 1258. Möngke forbade his army to plunder civilians. When his son accidentally destroyed a crop in the field of the Chinese peasants, Möngke punished him. On February 18, 1259, Tsagaan Sar, the Mongol New Year feast was given by Möngke near the mountain Zhonggui. At this feast his relative, Togan, a chief of the Jalairs, declared that South China was dangerous because of its climate, and that the Great Khagan should go northward for safety. Baritchi of the Erlat tribe called this advice cowardly and advised Möngke to remain with his army. These words pleased Möngke who wished to take the city nearby. The Song commander slew his envoy who had been sent to ask the city's submission. Möngke's siege of Hechuan was prolonged. Meanwhile, Kublai was laying siege to Wuchang, and Uryankhadai attacked Guangxi and then went on to Hunan. During the second year of the campaign, the weather became extremely hot. Many of the Mongol soldiers suffered from bloody diarrhoea (plagues), and Möngke Khan became ill. While conducting the war in China at Diaoyu Fortress in modern-day Chongqing, Möngke died, perhaps of dysentery or cholera, near the site of the siege on August 11, 1259. His youngest wife, Chubei, died a month after Möngke at the Liupanshan Mountains. 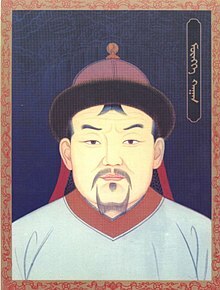 Möngke's son Asutai conducted the corpse to Burkhan Khaldun, Mongolia, where the late Khagan was buried near the graves of Genghis and Tolui. Once again the worldwide campaigns of the Mongols came to a sudden halt. Several different accounts of how Möngke perished have been recorded: Some reports indicated that he died of cholera; Persian accounts assert that he died of dysentery; Armenian historian Hayton of Corycus says that Möngke was on a Mongol war ship that sank in the Chinese seas while the Mongols were besieging an island fortress. According to a Syrian chronicle, Möngke is reported to have been killed by an arrow shot by a Chinese archer during the Siege of Diaoyu Castle. Another Chinese account, however, tells that he died of a wound caused by cannon fire or a projectile launched from a Song trebuchet but the Mongols covered up the story by claiming that his death was due to illness to maintain their soldiers' morale. While Möngke left a will declaring that the town should be massacred once taken, its siege continued for another 17 years before the defenders surrendered themselves to Kublai Khan, who promised to spare the lives of the town's residents. Möngke's death in 1259 led to the four-year Toluid Civil War between his two younger brothers, Kublai Khan and Ariq Böke. Though Kublai Khan eventually won, the succession war and the subsequent Kaidu–Kublai war essentially resulted in the permanent division of the Mongol Empire. It was not until 1304, when all Mongol khans submitted to Kublai's successor, Temür Khan, that the Mongol world again acknowledged a single paramount sovereign, although the authority of the late Khagans rested on nothing like the same foundations as that of Genghis Khan and his first three successors. When Kublai Khan established the Yuan dynasty in China in 1271, Möngke Khan was placed on the official record of the dynasty as Xianzong (simplified Chinese: 宪宗; traditional Chinese: 憲宗; pinyin: Xiànzōng). In 1252–53, Flemish missionary and explorer William of Rubruck saw Hungarians, Russians, Germans, and a Parisian goldsmith, Guillaume Boucher, in Karakorum. He even heard of Saxon miners in Dzungaria and other foreigners such as a woman from the Duchy of Lorraine mastered yurt-making. In 1253, Möngke deported households from China to repair and maintain the imperial ordas. He decorated the capital city of Karakorum with Chinese, European, and Persian architectures. One example of the construction was a large silver tree, with pipes that discharge various drinks and a triumphant angel at its top, made by Guillaume Boucher. Foreign merchants’ quarters, Buddhist monasteries, mosques, and churches were newly built. Markets were in the Muslim sector and outside the four gates. Chinese farmers grew vegetables and grains outside the wall of Karakorum. Möngke's youngest wife was Chubei (d.1259). ^ "Мөнх хаан". mongoltoli.mn, mongolian state dictionary (in Mongolian). Retrieved 2017-10-05. ^ Pratt Atwood, Christopher (2004). Encyclopedia of Mongolia and the Mongol Empire. Facts On File. p. 362. ISBN 978-0-8160-4671-3. ^ The Cambridge History of China: Volume 6, Alien Regimes and Border States 907-1368 (edited by Denis C. Twitchett, Herbert Franke, John King Fairbank, 1994), p.401. ^ J. Gordon Melton, Faiths Across Time: 5,000 Years of Religious History (2014), p.844. ^ "Hethoum I receiving the homage of the Tatars: during his voyage to Mongolia in 1254, Hethoum I was received with honours by the Mongol Khan who "ordered several of his noble subjects to honour and attend him"" in Le Royaume Armenien de Cilicie Claude Mutafian, p.58, quoting Hayton of Corycus. ^ The Islamic World in Ascendency: From the Arab conquest to the Siege of Vienna by Dr. Martin Sicker (p.111): "Bohemond, however, resided exclusively in Tripoli and, as a practical matter, Hetoum, whose realm was contiguous with it, ruled Antioch. Accordingly, Antioch was drawn into the Mongolian-Armenian alliance". ^ The Cambridge History of China: Volume 6, Alien Regimes and Border States 907-1368 (edited by Denis C. Twitchett, Herbert Franke, John King Fairbank, 1994), p.436. ^ Lubin, Nancy. "Rule of Timur". In Curtis. This page was last edited on 19 April 2019, at 22:05 (UTC).